Counseling for Individuals, Couples and Adolescents, in Portland, Oregon. 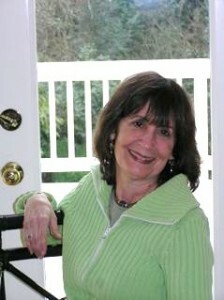 For a Portland Therapist, a Portland Counselor, or a Portland Psychotherapist, contact Kathryn Senders, MA, LMHC, CMHSK. Centrally located near downtown, in Northwest Portland at:1942 N.W. Kearney St.
Are you searching for a counselor or therapist because you sense something is missing or that there is more to life than you are currently experiencing? Are you stuck in old patterns of behavior and feelings? As an experienced psychotherapist, I know that it is common to go through periods when we are feeling disconnected from ourselves and others. I know there are times we are searching for more in our relationships, our work and our creative/playful activities.I believe we each carry within the seeds to live a full and meaningful life. However, there are times when we lose our way and need to seek professional guidance. The therapeutic process can be a powerful, life changing vehicle for transformation, clarity and a deeper sense of life purpose. I am a Licensed Professional Counselor in Portland, with more than twenty years of experience in helping individuals, couples and adolescents to live their best lives possible. I am conveniently located next to Good Sam Hospital in N.W. Portland. My role as your counselor is to help you identify limiting beliefs, behaviors and emotions which are keeping you from experiencing a more fulfilling life in a safe, comfortable, warm and professional environment. I specialize in working with adults who are wanting to create a fuller life and may be experiencing periods of anxiety, depression or confusion or going through a significant life change. Together, we will work to uncover self limiting or sabotaging patterns and to identify healthier ways of being and interacting. Please take a moment to read more about my counseling services and feel free to email me or call me at 503.997.4477. I will be happy to answer any questions you may have.